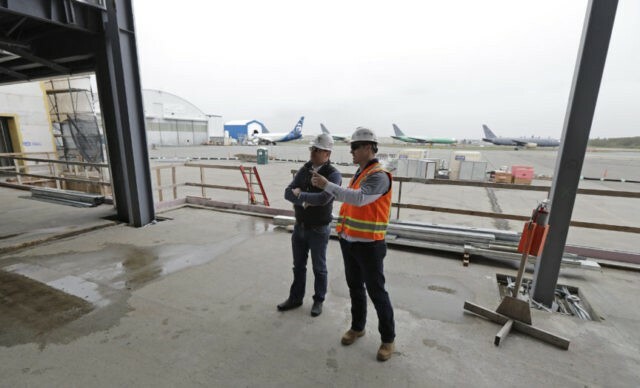 EVERETT, Wash. (AP) — An entrepreneur wants to bring a global trend to the U.S. and put commercial airport terminals in the hands of private companies instead of the government. Starting in the fall, Brett Smith will get his chance at Paine Field in Everett, Washington. He is the founder and CEO of Propeller Investments, which secured a deal in 2015 to build and operate a passenger terminal at the airport Boeing uses to test its jets. The deal is notable because so-called public-private partnerships are rare in U.S. airports, and because Propeller has no experience building or operating airports. The project contrasts with most of the 500 U.S. commercial airports, where local governments own and operate facilities. They have relied on decades of federal funding and passenger fees to help finance infrastructure improvements.